Plan your spring and summer CLE now! 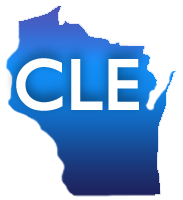 Attorneys and other interested individuals in the Milwaukee region can attend free CLE programming coordinated by the Milwaukee County Law Library (MCLL). MCLL continues its partnership with the Milwaukee Public Library to offer monthly CLE classes to attorneys and the public. The classes are led by law librarians from the Milwaukee legal community as well as Wisconsin State Law Library librarians. Thursday, April 6, Noon - 1 p.m.
Thursday, June 1, Noon - 1 p.m.
Thursday, June 1, 1 - 2 p.m.
Thursday, August 3, Noon - 1 p.m.